Massachusetts native Nathaniel Hawthorne, having quit his job at the local customs house, sees his second novel published. The tale of adultery and redemption in Puritan America becomes an immediate bestseller. The Scarlet Letter: A Romance is an 1850 work of fiction in a historical setting, written by American author Nathaniel Hawthorne. The book is considered to be his “masterwork”. Set in 17th-century Puritan Massachusetts Bay Colony, during the years 1642 to 1649, it tells the story of Hester Prynne, who conceives a daughter through an affair and struggles to create a new life of repentance and dignity. Throughout the book, Hawthorne explores themes of legalism, sin, and guilt. The Space Age edges closer when scientist Robert Goddard sends a rocket propelled by gasoline and liquid oxygen 41 feet in the air for 2.5 seconds at his Aunt Effie’s farm in Auburn, Massachusetts. A liquid-propellant rocket or liquid rocket is a rocket engine that uses liquid propellants. Liquids are desirable because their reasonably high density allows the volume of the propellant tanks to be relatively low, and it is possible to use lightweight centrifugal turbopumps to pump the propellant from the tanks into the combustion chamber, which means that the propellants can be kept under low pressure. This permits the use of low-mass propellant tanks, resulting in a high mass ratio for the rocket. 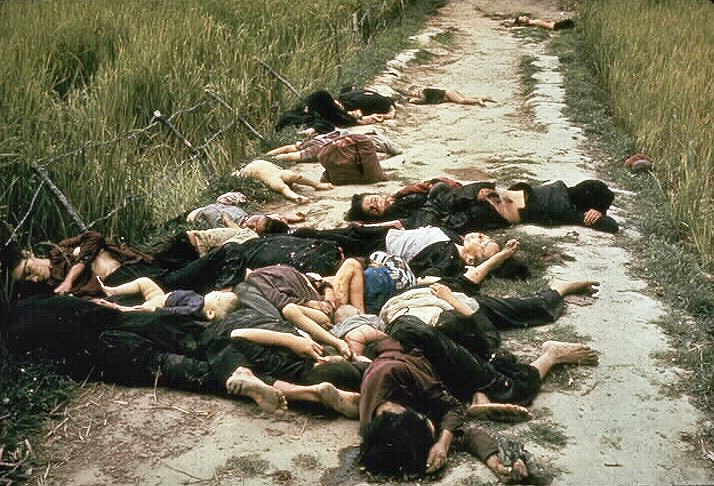 The Mỹ Lai Massacre was the Vietnam War mass killing of between 347 and 504 unarmed civilians in South Vietnam on March 16, 1968. It was committed by U.S. Army soldiers from Company C, 1st Battalion, 20th Infantry Regiment, 11th Brigade, 23rd Infantry Division. Victims included men, women, children, and infants. Some of the women were gang-raped and their bodies mutilated. Twenty-six soldiers were charged with criminal offenses, but only Lieutenant William Calley Jr., a platoon leader in C Company, was convicted. Found guilty of killing 22 villagers, he was originally given a life sentence, but served only three and a half years under house arrest. you can view them at the source – if you are so inclined. The chief Mideast correspondent for the Associated Press, Terry Anderson, is kidnapped off the streets of Beirut, Lebanon, and rushed away in the trunk of a car. He will remain a hostage of Hezbollah for nearly seven years. 2014: In 2014, he moved to Gainesville, Florida, to teach a course in International Journalism at the University of Florida.